A meeting of the Journalism Education Association board of directors took place Nov. 1, 2018, in the Randolph 1AB room at the Hyatt Regency in Chicago. It began at 8 a.m. and was presided over by Sarah Nichols with Val Kibler as secretary. Voting members: Sarah Nichols, president; Val Kibler, vice president; Megan Fromm, Educational Initiatives director; Lori Keekley, Scholastic Press Rights director; Laura Negri, director-at-large; Mike Malcom-Bjorklund, director-at-large; Julia Satterthwaite, director-at-large. Standing Committees: Karen Slusher, awards chair; Kim Green, certification chair; Nancy Y. Smith, contest chair; Aaron Manfull, digital media chair; Evelyn Lauer, publications/public relations chair; Jonathan Rogers, professional outreach chair. Special Committees: Nina Quintana, career and technical education chair; Patrick Johnson, mentoring program chair. Editors: Bradley Wilson, C:JET editor. Staff: Kelly Glasscock, executive director. The following was posted on JEA.org on Oct. 1, 2018: The Journalism Education Association board of directors will meet at 8 a.m. Nov. 1, 2018, in the Randolph 1AB room of the Hyatt Regency hotel in Chicago. * Lizabeth Walsh, MJE, by Kim Green, MJE for her tireless work, creative contributions and commitment to the professional growth of JEA members through her role on the Certification Commission/Certification Committee since 2007. * Howard Spanogle and Connie Fulkerson, CJE, by Bradley Wilson, MJE, for nearly 20 years of collaboration on C:JET and not only for their commitment to quality but their continued teamwork. * Mitch Eden, MJE, by Bradley Wilson, MJE, for his continued commitment to a worthwhile cause in scholastic media and leadership on student coverage of suicide. * Ellen Austin, MJE, Michelle Balmeo, MJE, Kyle Carter, CJE, Margie Raper, MJE, and Brian Wilson, MJE, by Val Kibler, MJE, for exemplary work as JEA/NSPA Partner Project teacher-trainers. * Aaron Manfull, MJE, by Sarah Nichols, MJE, for leadership by example, from drawing in new teachers to provide digital media resources while continuing to be the site’s top contributor. * Becky Tallent by Sarah Nichols, MJE, for helping strengthen partnerships between journalism educators and industry professionals through the #Press4Education initiative. April van Buren has taken over the Broadcast Write-offs. Joel Garver is also on site. Allie Staub will coordinate Quiz Bowl and Jr. High/Middle School Media Contest. Numbers are high this time, with high percentage of uploaded entries and 44 teams in Quiz Bowl with 200 people on-site doing judging. The earlier deadline for this convention did not impact us at all. Several contests maxed out, and overall there were 2,032 entries. The goal was to make it as easy as possible and provide an educational experience and a high-level contest. The committee partnered with Scholastic Journalism Week logo contest this year, and the winner will be announced Sunday. Bradley Wilson will add to the slideshow presentation with Mark Murray. Evelyn Lauer will promote on social media. Lori Keekley asked that the Write-off committee work on a Constitution Week logo contest as well. Kate Dubiel from headquarters conducted a live Write-off contest system demo for the board. Currently she is working on function, not aesthetics. The system is still very much in development and is inherently unstable. * Every active element will tell users what it’s going to do; will suggest next steps and walk the user through it. * True support for a team. Submit one entry on behalf of all team members. Should help eliminate confusion. * Dashboard page gives all info about an adviser’s registration: at-a-glance view generated automatically. * Notifications – tells adviser where they are and where they need to go. Will see what’s going on with a current convention, but can access previous conventions. * Entering contests – prevents students from entering too many contests. * Tool to help advisers switch students between contests or withdraw a student from a contest. * Students can submit their own entries or adviser can submit. Students will only see the contest they are entering. * Can assign critiquers and contest coordinator will be able to see the list. * Critiquers will only see their own assignments. * Critiquer sees the entries digitally and then has a place to write feedback. * Full support for broadcast entries – will be able to view the videos in the critique form. * Once all the critique assignments have been submitted, it will go into judging, and contest coordinator will see all. If they have gotten two thumbs up ratings from critiquers, it will then be decided by a judge whether or not to give it an award. Nancy Smith said this entire setup will make it easier for entries. Bradley Wilson and Mark Murray were on a separate demo with Nancy, Kate and Kelly a few weeks ago. They generated pages of questions and considerations for Kate. Nancy relies on Bradley’s expertise about the Write-off system. Nancy discussed with him the complexity of this system. Bradley likes having Kelly in the office having seen both sides of the system. * Connie Fulkerson was absent for much of August and September. * He is proud of the student he hired (Autumn) to put together the convention program in Connie’s absence. * Emphasizing the Write-off system. * Update to jea.org – maintenance that needs to happen constantly. Right now, we don’t have enough resources to keep that where it needs to be. Our needs far outweigh our resources. * Hired a freelance developer. * Don’t want to launch Write-off system too early. Need to be smart moving forward so that members have a good experience when they use it. * Website – phased out a lot of different elements. * Dynamic front page – isn’t as dynamic as we were hoping. * Hired Alex, a student web developer, to take on some of these tasks. He’s able to take on some of this. * Phase two – update of SPRC website. Next step would be shifting hosting over to jea.org. Lori has taken over the updating of that. Again, need outpaces our resources. * Phase three – update of JEAdigitalmedia.org. * JEA did become a G-suite organization. Google docs and the ownership of those will be JEA’s. Training will take place for the board at the budget meeting this winter. Patrick has begun using the suite with mentoring. No documentation of subsequent events at this meeting. * New F & B event – Pizza and Proud – sold out quickly. Kelly believes we can expand on this event. Charged $15 for that event. Great service to the students and advisers. More educational value. Resulted in increase of Write-off judges, and 450 tickets sold out quickly. Lifetouch is sponsoring the event. They will be giving out an iPad and hosting a scavenger hunt. * Electrical and internet was similar to San Francisco. General internet for everyone. Consistent password – doesn’t change. * Audiovisual union charges were astronomical – $79,000 in San Francisco, $153,000 in Chicago. Expense was beyond projections. * 2021 Philadelphia – Recommends this would be a strong choice. Connected to a convention center. Offered up a space in convention center. Thinks we could not use that and free up a rebate for room rate. * 2021 Spring – Portland – We learned yesterday they sold the space out from under us without contacting us. They did offer up solutions, but those weren’t viable. Kelly and Laura Widmer are now looking at Seattle, Denver, Phoenix. We will need to gear up for an electronic vote for both boards. 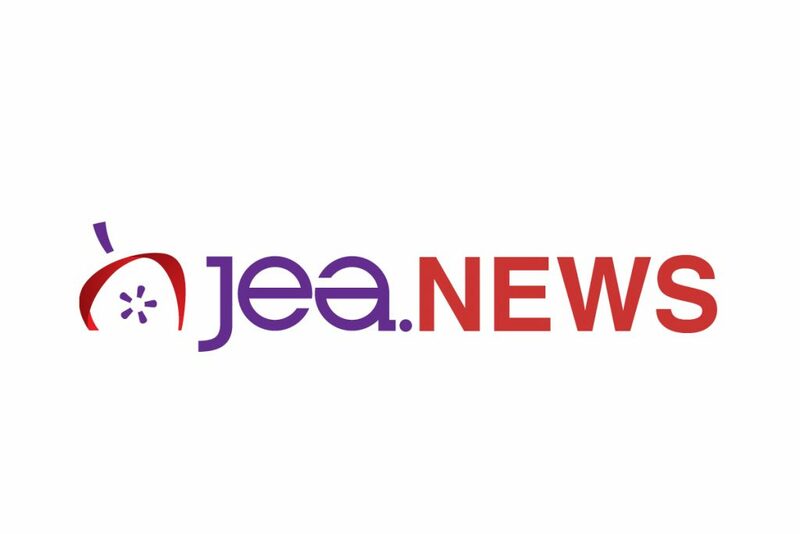 * Membership – broke 3,000 members – has been a long-term goal of JEA. 3,037 was the number Kelly presented with the membership report in the board packet. * Total assets still come in at $1.6 million. * 990 for fiscal year 2017-2018. It is taking a little longer for the accountant to get through the reporting this year. Rough draft will be shared, but there will be a lot of work left to do. Will be coming over the next few weeks (since convention is earlier this year). We will be filing an extension. It is a public document. We will need an electronic vote for board approval. * Budget proposals will be due by Jan. 1 to Kelly and Sarah by email. * Kelly is happy to provide budget numbers at any time. * Large number of folks testing here in Chicago. * If someone misses the deadline, remember that deadline is for the recognition at the convention. Kim will accept well beyond the deadline. If someone asks, let them know to go ahead and apply. Kim and Pam can process one or two very quickly. Need five to schedule testing at another site other than convention. That deadline has to be met to provide transportation for proctor. * The program has 150 total mentees – up 30 from spring, and 78 are second- or third-year mentees. In June through September, the committee did a social media campaign. Recruited 72 new mentees. * Committee met last night without Patrick. They discussed about the reporting that mentors must do in order to receive the stipend. Patrick feels we shhould be reporting quality data. Committee doesn’t know if they want to report information anymore. * Grant submitted to Yellow Chair. Finally used all the money that had been rolled over. Yellow Chair was not happy with rollover funds previously. The committee requested about $60,000 from them because of the increase in mentors. Patrick will find out in December. * Having the JEA mentor Google email is helpful. Moving files to Google Suite. * Training continues to be focus. Julia and Patrick are moving forward with digital training. * Three new states are interested, but finances need to be considered as we add mentors. * A lot of mentors are nearing retirement from their posts. * Sarah emphasized the financial impact: as we approach success with more mentors and mentees, it costs more. In order to fully support Patrick, the entire board will need to think creatively about the model. It will become more important as we hear back from Yellow Chair and with our support. * Laura Negri questioned why Yellow Chair funding had rolled over. Previous chairs submitted a larger amount. Some folks wouldn’t submit reports and thus wouldn’t get paid. * We need to look at this through a new lens. * Julia noted that Patrick is working to streamline the process. Reporting is essential in her opinion. Wants to move from working in isolation to more collaboration. * Sarah added that data is so beneficial to all board members so we know what our members need and the direction we should move in providing support for mentees. We are a data-driven organization, and the specifics from detailed mentor reports can benefit curriculum, digital media and press rights efforts specifically. Our other groups within the organization want to tailor their resources and materials to the needs of the mentees. * Nina Quintana added she would check with college and career readiness bureau and will see if Perkins Grant might provide salaries. * Megan wants to make sure mentors understand if we don’t do the reporting, we won’t get the money from Yellow Chair. * Bradley added that the data served another function: could easily be used in a research project. * Megan suggested again that an MJE project could be the mentor training. Kim Green is planning to meet with Patrick to make that happen. * Quill and Scroll Executive Director Jeff Browne applied to be a mentor and went through certification. He went ahead and took the test at Advisers Institute. Kim Greem wanted him to be able to speak to the certification experience. * Jeff Browne reached out to help with Student Impact Award to get connection strengthened with Quill and Scroll. * Question surrounding Rising Star Award and whether or not they need to be JEA members. Committee believes that the nominees do not need to be members, but the nominators do need to be members. * Potential budget request to sponsor nonmember Rising Stars receive a year of membership. * Karen has invited them to the awards committee meeting on Saturday. * Sarah added it’s frustrating to have members not win on multiple occasions and hear that nonmembers are winning. Would like to hear more from the committee about their rationale behind that and clarify the intent of the award (Is it to recognize members or is this seen as a way to draw in new members, and if so, how?). * Recognition has always been 50 percent plus one. Karen will be revisiting this with the committee. Same with Medal of Merit and some other awards. * Broadcast Adviser of the Year still struggles with low number of applicants. Karen wants to work more with Evelyn on the social media component. * Is there a way to set up the nomination process rather than a self-nomination process on the website. Kelly agreed that this would be possible. Someone could nominate and we could notify the adviser who has been nominated and encourage them to gather application materials. * Karen suggested maybe moving Broadcast AOY to the spring (March 15) deadline cycle with the announcement at the end of the school year in order to increase the number of applications and provide more timing to coordinate the surprise announcement while giving the winner adequate planning time to attend the fall convention. * Adobe Spark project – My American Story Project along with Spark. Wanting to know how they can work more with the journalism community. They want to do more with showing us how to use Spark. He will be presenting on it more on Friday. Adobe Rush is a new video editing app that has been released. Great resources on Adobe’s website. * Flipboard magazine is going well. Slowing down and losing passion on judging stuff. Asks that state directors, NSPA and SNO send him things that have already won awards. Has over 5,000 followers and getting 40,000-50,000 views. * NCTE convention in two weeks. Sarah and Lori are also part of JEA’s delegation as speakers/presenters, and Julia and Val will be attending as well as representatives from their school sites. We will be signing up new members at the booth in the trade show and hosting a journalism teacher pizza party at the NCTE convention. * Censorship seems to be a huge problem in journalism and English classrooms. Wants to emphasize 50th anniversary of Tinker. Lori Keekley added that there is a postcard event here – 2000 postcards are available that kids can fill out to send to Mary Beth Tinker for the Feb. 24, 2019 anniversary. * Lori Keekley will be working on the censorship statement with NCTE. * Patrick Johnson would like to tap Adobe in the mentor/mentee community. Adobe wants to be more present in our classrooms. Patrick interested in pursuing partnership. * She is giving a session on the One Book, “The Hate U Give,” on Saturday morning. The session will focus on how to use the book in the journalism classroom. * Social media coverage – will be covering on Instagram story and all other social media. * She asks that all board members and committee chairs email her to give her heads up on social media. * One of her main goals is increasing engagement and followers. It’s a good place to reach a wide number of people. * Best way to reach her during the convention is via text. * Sarah recognized her huge efforts to overhaul the relevance of social media for our organization. Evelyn is doing a fabulous job promoting all things JEA. * Teacher takeover Tuesdays have been very popular. People are reaching out to ask to do these. Meg emphasized how great this feature is under Evelyn’s leadership. * Always on lookout for content. Sometimes he’s planning two-three years out. * Adviser frustration is often that things don’t get published right away. He explained his packaging. * Series in this magazine on suicide was three years in the making. Deep in its breadth of coverage. * Advertising went down rather dramatically in fall issue, up in the winter issue. We need to think about our advertising strategy. Just began sponsored emails. We need a rate card for ALL advertising. * Howard Spanogle has institutional knowledge that is impressive. He is genuinely interested in producing the best product possible. Thank him when you see him here. * Six years ago we created an advisory group. Bradley has struggled with how to make this work. He had great debate with the group in making decisions for the last magazine. He thought this was a cool use of that group. * Challenged all of us to think of C:JET in our ongoing activities. Don’t let it be an afterthought. * Sarah emphasized the time Bradley has put into promoting via social media. Asked that we help like and retweet promotions. Likes the way the advisory group uses multiple tools to meet and be effective. Timing when it mosts benefits the group to meet for a retreat. Fully supportive of seeing this initiative getting the backing of this board. * Please share ideas with him for the website. * Interested in working with Jonathan on some Adobe Spark coverage. * Newsroom project is popular. * Ad strategy makes a lot of sense. * Sarah asks that we all share our newsroom with Aaron before the spring meeting in Anaheim by March 12. * Evelyn will connect with social media. Aaron usually posts on Wednesday. * Certifications being offered. 20 people have signed up. Thankful that number was low as we work out logistics: 9 precision exams, 11 Photoshop/InDesign. Will be challenging in the room. * BPA rep came to assist Nina with exams. * Nina and Kelly ran tests to get testing platform working. * Need to work more on advertising for Anaheim. Will update after Saturday’s testing and will get survey results from testing candidates. * Additions to jea.org. https://tinyurl.com/y9td3bn3 documents will be sent to Kate by Monday. In each respective folder are items Nina has collected for the website. Challenge is that every state operates differently, but there are some common denominators. College and career readiness bureau in New Mexico has helped her pull those resources together. Biggest challenge is getting exemplars from different states. A lot of journalism educators have set up CTE programs. Examples of grant writing will be on the site as will be how to develop quick references. * Megan added it is awesome to have the different state examples. Suggested we put out a call to state directors. * Sarah suggested that we help direct people who pose questions to Nina and her committee. Nina is very nurturing and approachable, and does a great job helping others in other states. Sarah has asked Laura Negri to help with this as well as Jess Hunziker in Colorado. * Laura said we need to be aware of money attached to CTE programs. The more documentation we can provide districts, the more helpful we are. * Sarah talked about the CTSO. We have to provide the same components because it’s very state specific. We have to prove we have leadership, competition, certification and meet the criteria to be eligible. * We really need to build the certification component. We need students and advisers doing that at conventions. * CCRB said we need to make the connect with the Association of Career and Technical Education (ACTE). Educators rising connected with ACTE and within a year were recognizing as CTSO. Nina will be doing a budget request for folks to attend ACTE convention. * Would like to add workshop classes in Anaheim to help with folks who are now holding certifications. * Curated list of differentiated lessons is now up. It includes ELL, gifted and talented, middle school and special education differentiation. * Website traffic has shifted. Overall visitors are the same. Drop in August reflective of no new lessons. In hindsight, we need to do more social media push. Principals guide lesson in Law and Ethics is the top download. Top 25 pages didn’t change much. Writing is always in the top five. Average site visit time has increased. * Writing curriculum has been an area for improvement. Sarah questioned when people shared things on Listserv or other places should or could we incorporate some of them into the curriculum, and what is Meg’s team’s philosophy on how to approach this? * Patrick added that mentees don’t print the lesson, but love that there are lesson plans because they don’t know how to necessarily create lesson plans for journalism. * Sarah suggested that we fill a hole for advisers who teach a concept, but want to know how to get their students to do it better. * We need to be clear about the pedagogy. How do we better teach and model the pedagogy we want to see? And how do we better provide the “stuff”? * There are at least 150 broken links that are being updated. * Each leader is adding modifications to at least 15 lessons. * Sarah suggested partnering with Evelyn to push out curriculum highlights to our membership. This would be a great reminder to new members what we have. * Laura Negri reported that other subject areas are using our materials in her school. * Long time in development, begun by Jack Kennedy and Mark Newton. * Recorded 12 videos with 11 different volunteers. The filming took place at Advisers Institute in order to maximize resources. Sarah coordinated participants, script development, student media examples in June. Filming in July went well. Then we went into post production in late August. First round went really well, but in final cut stage, things fell apart a little. There were a lot of audio issues and some example issues for each presentation. We are waiting for the final clips to drop. * Sarah will build it into the Participate portal to develop the training module. * Next stage will be to share with the SPAs and to get their final endorsement. We will ask for $150 to buy-in by SPAs so that their judges are being vetted. * Sarah provided some additional background about the disparity between the resources we have with our staffing in headquarters and the needs our organization has. Kelly added we will be going through a strategic planning cycle to identify needs going forward. * The project has been documented a lot more this year with the expansion to two Partner Project schools. * Val will share data with NSPA Board as they were unable to attend today’s board meeting. * Kelly welcomes new ideas as Kelly and Laura pursue Seattle. * Kelly reviewed specs. F & B levels are below what we normally spend. Meeting space looked like it would fit us well. * Sarah Nichols made the motion that JEA approve the executive director to sign a contract as negotiated for the fall 2021 Philadelphia convention. Julia Satterthwaite seconded the motion. The motion passed 7-0. Sarah Nichols moved JEA eliminate the geographic boundaries used to determine eligibility for director-at-large positions. Megan Fromm seconded the motion. Julia Satterthwaite questioned how states with higher membership would not monopolize or how would smaller states not get left out? Because the board has worked to be inclusive, we should think about how we do this. Sarah said that multiple people from one area could really be great additions to the board. It was tough to do replacements when we had to fill vacancies from smaller areas when members in other areas wanted to serve and were not eligible. Sarah feels it increases eligibility. She also feels it’s a significant volunteer position and our members deserve seven engaged people who want to do this job. She wants the best people to run and be elected, as that’s more of a win for our membership. We do need to continue to be better in the engagement and recruitment process. It sets us up for success that people vote for board members based on our track records more than from where we live. Members will be voting for three and can make their decisions based on their philosophies if they need to. Julia feels some states have different situations. She said having people from different regions helps you think about the needs of different areas. She suggested leaving the elections the way they are and consider changing the way we fill a vacancy if needed. Sarah maintained that the challenges facing today’s teachers and students are not tied to geography. For example, California kids deal with censorship, even though they have the oldest law in the country. Conditions in schools, diversity, funding, Career and Technical Education, curriculum needs and other recurring topics affect members in every state. Sarah said we should be addressing those needs with the focused efforts of every board member. Laura noted differences within each state as well, agreeing that a regional designation does not necessarily match or make members similar. Sarah emphasized that every board member serves every single member. Megan asked a logistical question. Do the top three vote members earn the votes? Sarah said this vote is for a bylaw change and would need to look at the specific language as a board. The bylaws don’t have procedural information. Administering the election is an executive director duty. Megan hopes that members would vote for people based on their performance. Sarah noted that Candace Bowen had worked very hard during the previous election cycle to get more info out to our membership about the candidates. Megan asked if there would be a scenario dealing with transparency with releasing the number of votes. Would we also release where the voting participation came from? Kim Green discussed growing pains when we reduced the size of the board, but in the end we need to think about the needs of the organization as our priority. The meeting was called back to order at 12:56 by Sarah Nichols after a having lunch with NSPA board members, participants in the Outreach Academy and mentors. * In Nov. of 2016, we did a one-year contract extension to continue Kansas State as hosting JEA to show our commitment while searching for an executive director. * We are best suited to strengthen that relationship and negotiate the best relationship we can with K-State. * Jonathan Rogers questioned if there is an alternative plan to discuss with K-State or the prospect of an RFP. * Sarah shared her rationale for strengthening the relationship with K-State. * Laura asked if there was a length of contract that we are specifically looking at. Typically we look at a five-year contract. We want to keep the length of time separate from our election cycle. * Sarah hopes to have a contract to approve at the April board meeting. * Kelly said that Dr. Nikhil Moro, director of K-State’s school of journalism, arrives today. He and Sarah mentioned it would be good to introduce ourselves and thank him. * Megan said we have not seen a return on the investment for the research grant, so does not plan to have that in the budget requests this next cycle. * Laura asked about the possibility of recording sessions to add to a library of sessions for virtual workshops. Patrick thinks featured speakers might be unique recordings to offer. Kelly mentioned it had been tried before and it bombed. It would potentially have to be negotiated with those speakers. It’s not a model we’ve seen work financially. Lori Keekley moved and Mike Malcom-Bjorklund seconded that the meeting be adjourned. Sarah Nichols adjourned the meeting at 1:26 p.m.